Can you retire when you have $500,000 invested? I’ve got these calculations on this page here actually. I recently read an article on Retire by 40 that suggested $5 million (in net worth) isn’t even enough for some. The Retire by 40 post recalled this article about a Canadian couple struggling to make ends meet, with a net worth of $4 million. From the article, the struggle was related to the “present monthly expenditures of $4,274 on wine, restaurants, clothing and grooming, travel and their golf club” (membership). That’s a huge a burn rate on those items if you ask me – but to each their own. As the saying goes, the more you want, the more you spend. This is not a financial myth, it’s a matter of fact for many people today. Most people seem to spend up to their income level (and sometimes much more). Cheap credit undoubtedly fuels that. Lack of financial literacy is another. It’s a foreign concept to some people to pay off items in full once their credit card statement comes in. Does this mean most people have no willpower or have no brain? Of course not. Many people simply underestimate or do not understand their spending habits. Without knowing your spending habits and expenses unfortunately I can’t tell you when you can retire. I can tell you when we can. When we reach our Crossover Point. The Crossover Point was popularized in the book Your Money or Your Life. (I plan to provide a review of that book and giveaway a few copies on my site sometime later in the year – edit: see the link above!) This is the point whereby investment income matches or ideally exceeds monthly expenses on a consistent basis. Reaching the Crossover Point means you have a steady income stream for life (other than reliance on your job for income). We’re not near our final Crossover Point yet but we are one-third of the way there at the time of this post thanks to some of our (passive dividend) investment income. Once the income from our invested capital comes close to matching our monthly expenses, I believe we’ll have enough money to change our working habits. I encourage you to figure out your Crossover Point – when your investment income will cover most of your daily expenses. The biggest benefit I gain from dividend investing is seeing our money at work every month so we don’t have to (work) someday. We’ve created a spreadsheet that outlines the dividend income we’re earning today showing how our income is rising every month (thanks to mainly reinvested dividends); income that will eventually cover our expenses. Because we focus on the income stream we need (rather than what the market does or does not do in any given day or week or month), we have confidence in our financial plan. I only hope you find the same level of confidence for your plan. What’s your Crossover Point? Do you know when you can leave the workforce behind? 33 Responses to "The Crossover Point for investors"
Good to focus on this topic, but I think “crossover point” is an oversimplification. My wife and I reached our financial independence point about 18 months ago, in our mid 40s. My wife has stayed with her (academic) job; I have retired from my salaried job, have launched my own consulting businesses, am writing a book, and getting my chops back up on the musical instruments I play. Our financial independence point was when we were comfortable that under reasonable, conservative personal spend and market assumptions we could fund our lifestyles until age 100 whether or not we made any more money. But that means benefiting from a DB pension (plus CPP, etc) after age 65, withdrawing our principal in the intervening 20 years, and dying broke. Have we reached our “crossover point”? Well, assigning a notional 4% yield to our portfolio (we invest in a diversified portfolio yielding a mixture of capital gains as well as dividend and interest income), and taking our post-65 spend minus pension entitlements, clearly yes, several years ago. But that neglects the higher withdrawals needed until age 65. If on the other hand one looks at today’s spend, with no pension income, then we have not. But that underestimates our financial position since the value of protecting our longevity risk 20 years from now is huge. Unfortunately, I think this type of complexity is the norm rather than the exception for anyone considering early retirement (of any sort), and so I fear the concept of “crossover point” is more useful in theory than in practice. You need a robust, conservative financial plan that captures the remaining eras of your life in terms of income and expenses. The Crossover Point is not a hard and fast rule, rather, a guidepost to demonstrate what “enough money” might mean for you – when your capital makes enough money to cover your expenses. You are correct there are many variables to consider. You absolutely need to think about longevity risk – which is likely the biggest factor to consider for younger folks (40s and 50s) who have reached financial independence for the most part – like yourself. I fully intended to retire and take the age penalty at 50. I have been maxing out the RRSPs since I was 19 and we had sufficient investments to accomplish this but due to illness in the family I decided to forgo that plan and work til 55. My point? The best laid plans on occasion do not work out. My recommendation is to ensure one has more assets than might be necessary. One never knows when a monkey wrench might fall into ones gears. I also suggest that if one is debating whether to take the kids on a vacation or leave them behind, take the kids. “The best laid plans on occasion do not work out.” This is true, you can only plan for so much in life. You also need to live for today – so there is a balancing act I feel is necessary in our lives. I am single and I am considering the leap to early retirement with $350,000 with a large part of that being my house. I will have a very small work pension and some small pensions from the Canadian government after ages 60 and 65. I have dividends but it will be a very lean retirement. I will be selling my house at some point just to live on and I really won’t be travelling. If I had a million dollars I’d be rich. Thanks for sharing Beth. It all boils down to your expenses really. A (small) pension, with CPP and OAS (more “pensions”) will still likely provide $30k per year if not more in retirement at a low tax rate. Best wishes for your future! With your focus on the Income, not the pile or market returns I’m sure you sleep better, have a clearer and obtainable objective and feel good even when markets and financial news is bad, probably feel better. I now recommend Income Growth Investing rather than Dividend Growth as it defines what I believe should be the real strategy to follow of achieve either ones Crossover point or just a growing stream of income to offset some of ones future expenses, even if not all. Nice to see someone paying attention to correct financial verbage. Kudos. Psychologically cannew, the DGI approach for me works. Brexit? Whatever. Oil crisis. That too will pass. As long as the income from my portfolio is stable, and ideally, increases over time, then I can use that money to cover life’s expenses. Bad financial news is a reason to buy and I’m constantly training my investing brain on that. Cannew, I think what helps you sleep better is a personal thing. For me I don’t need to focus on income to do that. For me focusing on the pile, knowing what that pile can generate in cash flow, is what helps me sleep better. I liked the idea of the crossover point from Your Money or your Life. I have modified it to my situation, and called it the “Dividend Crossover Point”. This is the point where dividend income exceeds expenses. I expect to hit this by the end of the decade. The amount you need is very individual. I see some people who will never retire. I also see people “retire” with much less. The important thing for me is to strive for financial independence, rather than “retirement”. FI is where you have the option/flexibility in life to pursue passions, take calculated risks (start a biz, knowing that if you fail your bases are covered), spend time with a loved one (s), rather than long for a life of idleness. From what I’ve read your expenditures are very low so you should have great success in reaching your goal. Our plan is for dividends to cover most daily, basic life expenses (property taxes, housing expenses, food, clothing, etc.). We can work a bit (part-time/seasonal) for the travel money or simply draw our pensions early with penalties for the “fun money”. I’m also trying to get away from the word ‘retirement’ on the site. I also gravitate more to financial independence. I will always work at something for a living but I want it to be on my terms. Hopefully <8 years I can do that. To be honest, I think my expenses are too high. I target $18,000 – $24,000/year for myself. I thought that this was frugal, but the reality is that it may be a little wasteful. You target $30,000 in annual dividend income to be retired. But this is Canadian Dollars – so you and your spouse need $23,000 US to retire. Though I think you will also have a paid off house. Based on this analysis, I also think I should buy a house now. Yes, I am targeting $30,000 in annual dividend income to be retired – but this is in addition to other investments, such as my RRSP/401(k) for you guys. That RRSP should spin off another $15-20k per year for as long as I live. Then we’ll also have at least 2x 15-year pensions + CPP (government annuity) + Old Age Security that kicks in for all Canadians although it is income-tested at age 65. The CPP might pay us $500 per month each. The OAS might pay us about $600 per month each at age 65, but not sooner. With the paid off home in 5-6 years (now valued at $600k) we figure that’s enough money for our needs. The amount needed depends on some variables. Do you have a good work pension? Are you going to retire with the same lifestyle, or become a world traveler? $750,000 (present value) with a work pension has worked for me over the last 8 years. $1,300,000 (present value) with no work pension has worked for my mother over the last 35 years. So many variables John – I’m with you. “$750,000 (present value) with a work pension has worked for me over the last 8 years.” That’s very good. I figure we’ll need >$1M portfolio with pensions for us since we have lots of inflation to fight in our future, and, potentially longevity risk. 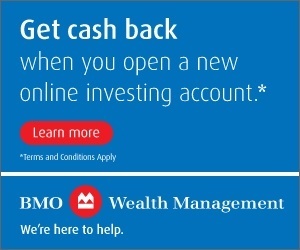 Considering the fact that less than 1% of Canadians have $1 million, and the fact that this has always been the situation and most likely always will be the situation…I wouldn’t spend any time worrying about the nominal value of your portfolio unless your only plan is to live off capital gains. You can definitely retire on $500,000…if you started investing early enough and your dividend yield has grown into the double digits. The saving goal is to live off dividends. If we don’t get there with that stretch goal, I still think we’ll have done very well SST. We’re not worried at all about the portfolio value. We’re more concerned about the money coming from our capital to cover our expenses excluding any small pensions in our future. We are considering CPP and OAS “a bonus” and we’ll have 100% equity in our home in another 5-7 years. Doesn’t that mean that 3% of Canadians are millionaires? Apparently, there are 15,656,000 millionaires in the US ( per same report)…Which is approximately 5% of the total population..
@DGI: “According to the Credit Suisse Global Wealth Report, there were 1,160,000 millionaires in Canada in 2014 and 984,000 millionaires in 2015.” Wealth includes their housing, less liabilities. Wonder how many of those 3% would be eliminated if the housing equity was removed? I suspect but don’t know for sure, less than 1% of Canadians would have >$1M in assets if they exclude their primary home (paid for or not). In my opinion, that is probably the real “1%”. Well, technically I’m a millionaire but I don’t feel like it because we have lots of mortgage debt still. When that’s gone, we will feel VERY different I suspect. That’s the concept most investors either don’t know or care about, but is 100% correct! Well, we have mortgage debt as you both know (you read the blog) and a decent portfolio value but the goal is >$1M excluding our pensions. $1M invested should easily churn out $40K per year in dividends; some of that taxable income mind you. I suspect we can hit that mark in our early 50s. I think for people considering Early Retirement/Financial independence/whatever in their 40s and 50s, there are a couple of phases to consider. a) The “gap years” or “early retirement” years, before pensions kick in (including CPP, OAS, any DB pensions); b) the “active senior” years, when collecting pensions but travelling, etc., c) the “quiet senior” years, when living expenses generally decrease (but one needs to plan for elder care scenarios), and d) desired legacy. I guess the “Crossover point” is the useful simplification where you slide together a), b), and c) (say by assuming you’ll take pensions a bit early, and the quiet senior expenses will equal the active senior ones), and that you want to leave your invested capital as your desired legacy. For us, our needs/desires for these phases were sufficiently different that it needed a more careful approach. However, for what it’s worth, we felt financially independent when our net worth, excluding paid-for primary residence but including (for comparability) the actuarial value of already-earned defined benefit pensions, was about $1.5MM. Thanks for your detailed reply. So you could “pull the plug” when your net worth was about $1.5 M? Just to clarify – that excludes the paid off home? That’s where I struggle with our FI (Financial Independence) now, we have debt. We cannot claim real FI until we own our home and have a sizeable cash wedge (at least one year’s expenses) to cover emergencies or other items. We have no desire to leave a legacy so our RRSPs will have to cover the “gap” between our pensions and fat penalties for taking them early. We figure age 50 with a paid off home should be possible. Hopefully by age 50 the house is paid for and we have reached our dividend income goal. If not, age 55 at the latest based on our current savings plan. I came across another definition of the cross over point in a new book “The Simple Path to Wealth” by JL Collins. It’s 25 times your annual spending needs from which you can spend 4% a year. So if you can get by on $25,000 a year you need $625,000. If you’re like Mike Tyson and spend $400,000 a month or $4.6M a year, you need $120M. Spending 4% a year at any age is a bit different from the classic 4% rule (spending rises with inflation and high probability of the portfolio lasting 30 years) as this one you simply spend 4% each year so you income will fluctuate somewhat with the markets, but generally rise with at least inflation, depending on your stock bond mix, but it’s a rough and ready and simple way of looking at the point you have reached financial independance. I laughed with your Tyson comment 🙂 It’s also read that rule of thumb – 25 times your annual spending needs. Our goal for a margin of safety is to “live off dividends” whether that is 30-40 stocks, some quality ETFs, or a combination of both. Then we know we’ll be financially free. The issue with DGI is that in retirement companies can not only lose 40-50% of their value during a bad bear market but also reduce or terminate their dividends. Not good in retirement :(. An alternative is the investment grade long corporate bond which is equity like but unlike dividend equities has not the risk of terminating it’s annual interest payment. Something like ZLC etf has a yield to maturity of ~3.5%. If interest rates drop ZLC’s unit value will increase with the yearly interest rate dropping to it’s yield to maturity. If interest rates go up then the yield to maturity will slowly increase. It’s a win win in retirement 🙂 over the more risky equities. What do you think? The problem with most bonds is the upside, rather, lack thereof. Yes, corporate bonds pay money but so do all IOUs (bonds). Personally, I’m going to take my chances with 30-40 stocks that have paid dividends for generations that they’ll keep paying them. The thing is, 40-50% value loss is not the same as a dividend cut. During the last financial crisis, many stocks lost 40% of their value but most of the blue-chip stocks maintained their dividend. For conservative investors, I have no issue with ZLC. A good bond product. Mark, I agree with you. Next month my two boys (now 18 and 13) will have worked the local newspaper route for 5 years. Each month they allocate money between ‘giving’ ‘spending’ and ‘investing’. In the early newspaper days I have tried to help them with their allocations (ie. It’s never wrong to be generous in giving, ok to have a spending goal, and great to have them choose companies they understand and can invest in.) and now they make their own decisions. 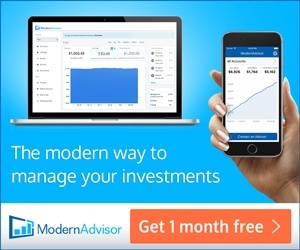 I’m glad to say they have been investing directly through Computershare in optional share purchase plans for BMO, T, TRP and most recently added FTS. Annual dividend income run rate now for the 13 yr old is $556/yr. A long way from some numbers I see here on this thread but he’s only 13. We don’t focus on the stock price but rather on dividend growth (for the same reason as you have said above). They picked the stocks listed above because they were comfortable if none of those cos cut their dividends in ’08/09 then it’s unlikely they will cut it in the future. I’ll let you know how their journey goes after another year passes. Thanks for sharing and do keep me posted over time.